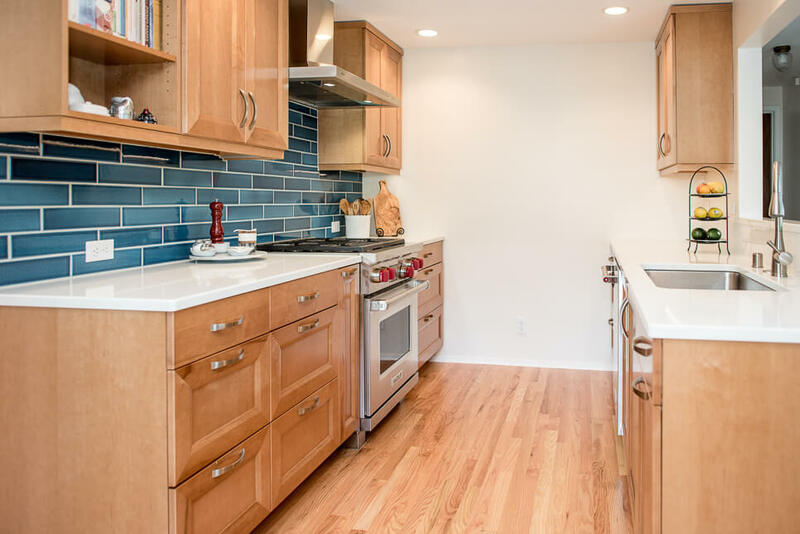 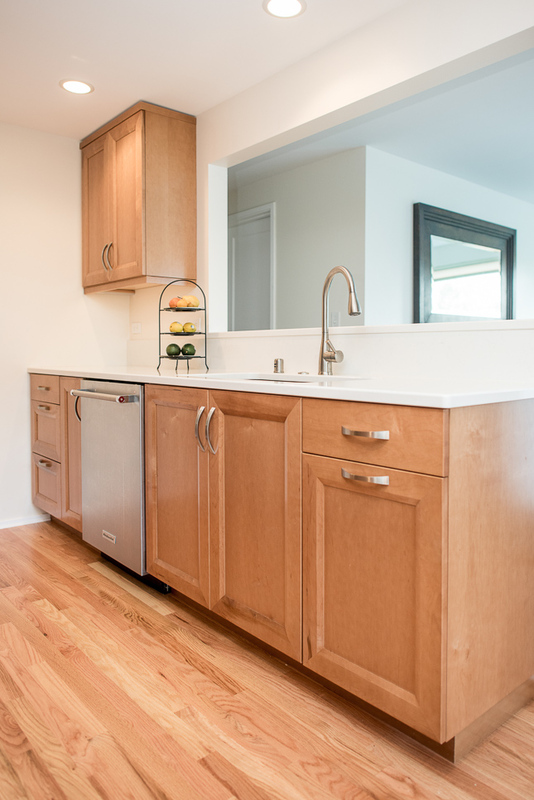 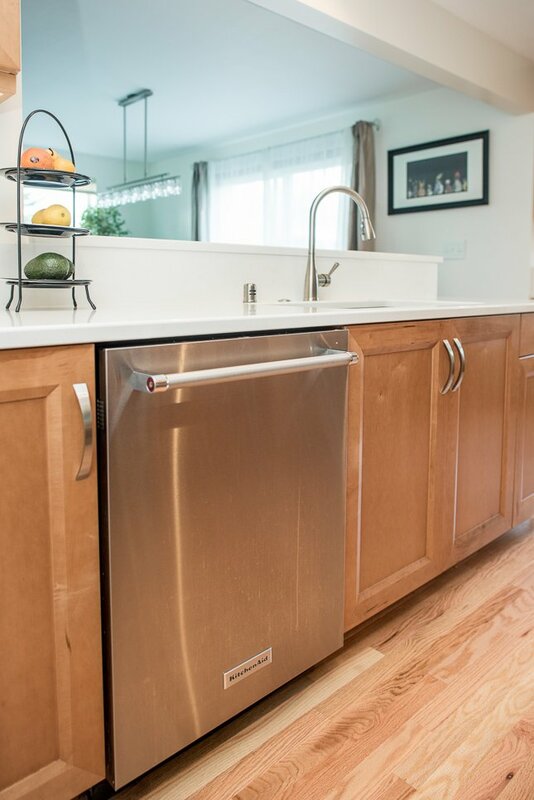 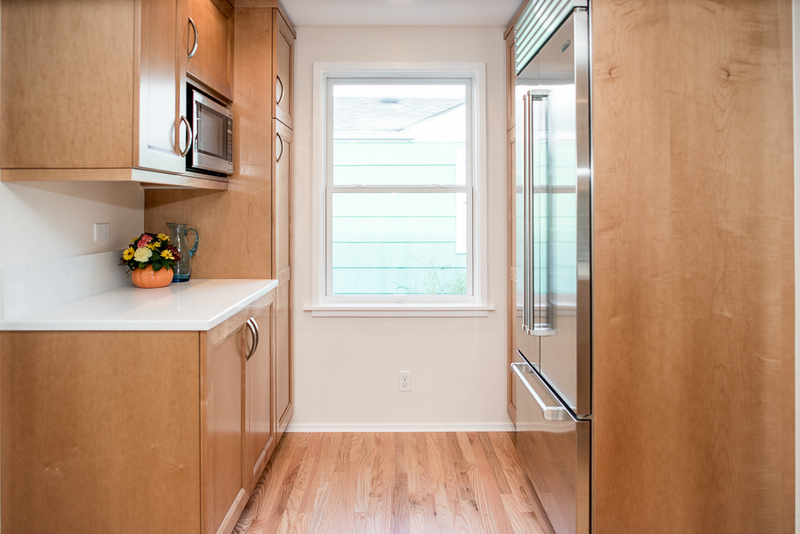 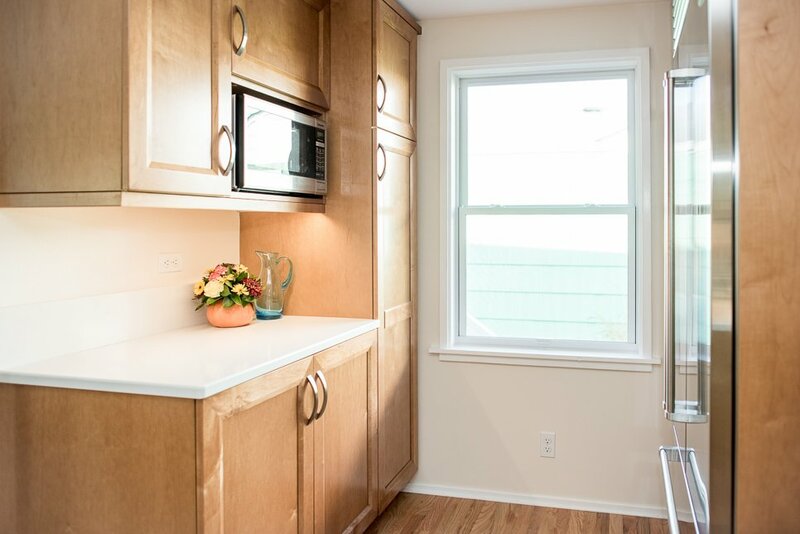 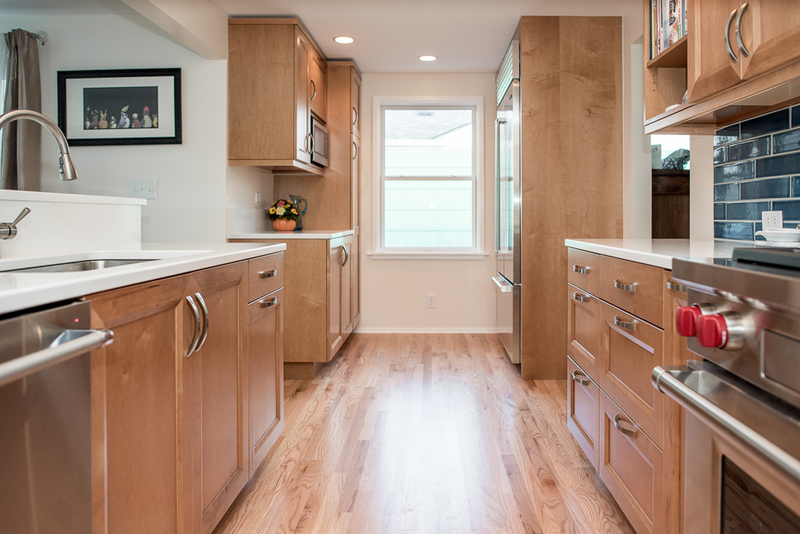 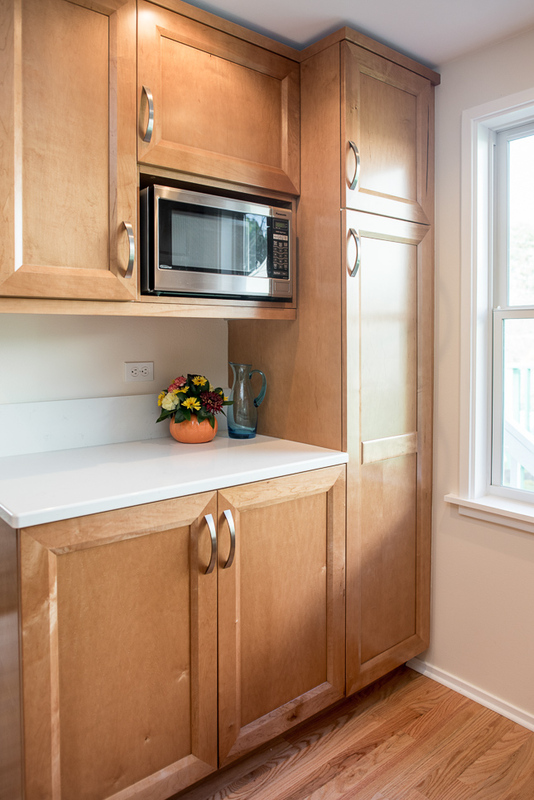 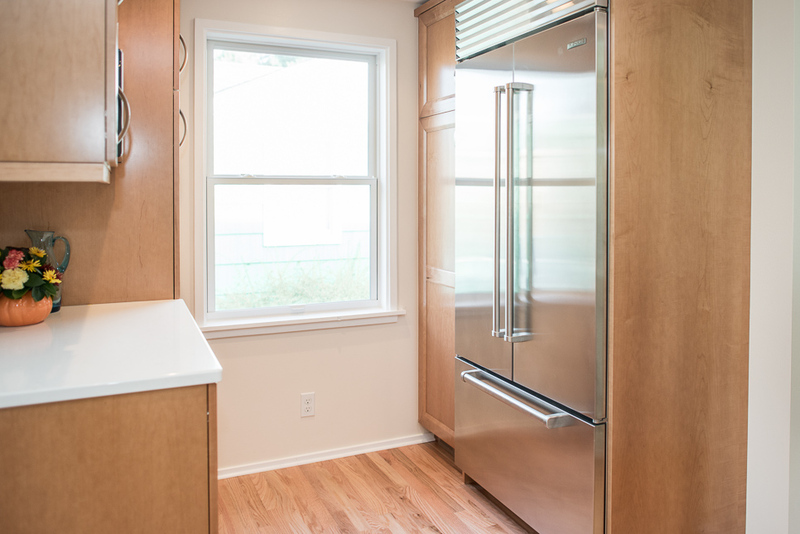 The owners of this narrow galley kitchen had three goals: remove an awkward post, create more storage space, and improve the ergonomics. 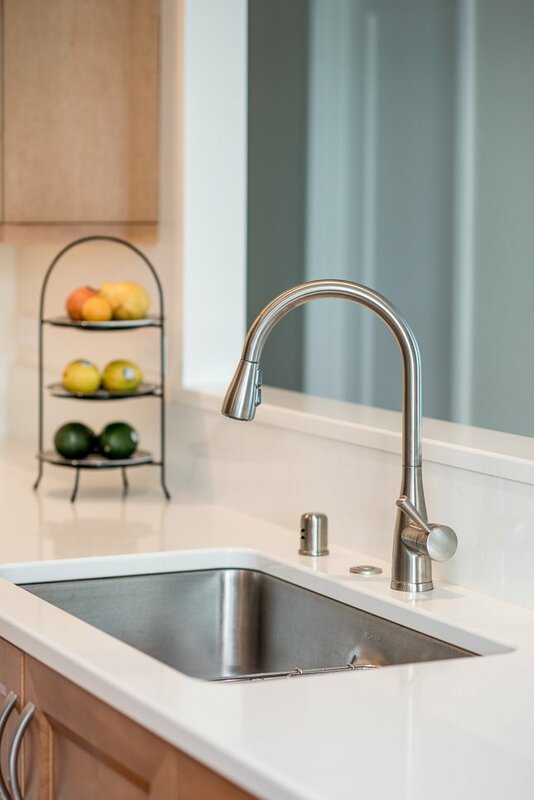 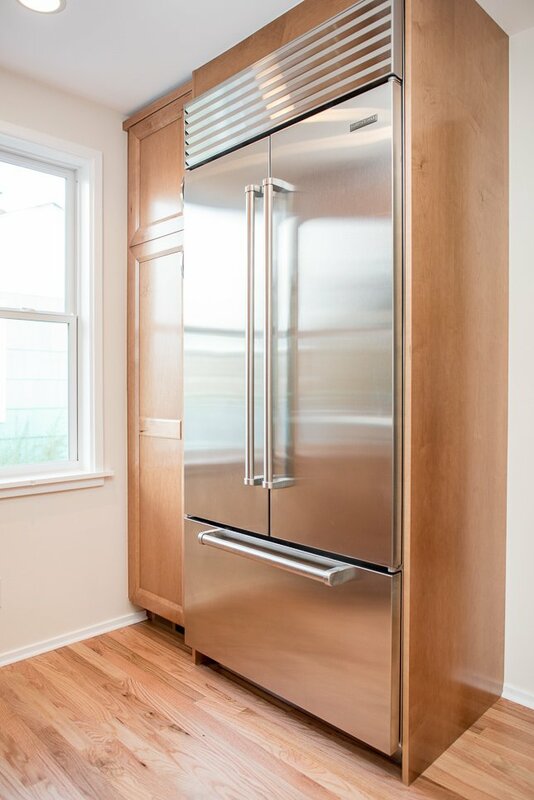 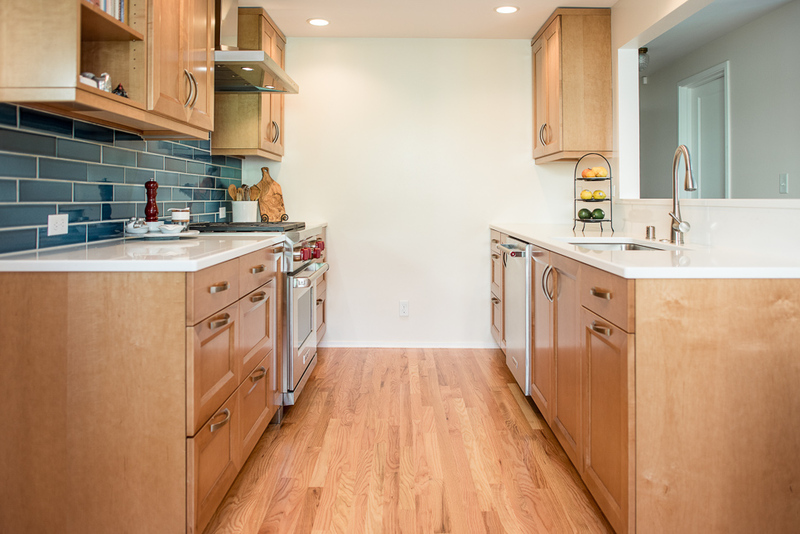 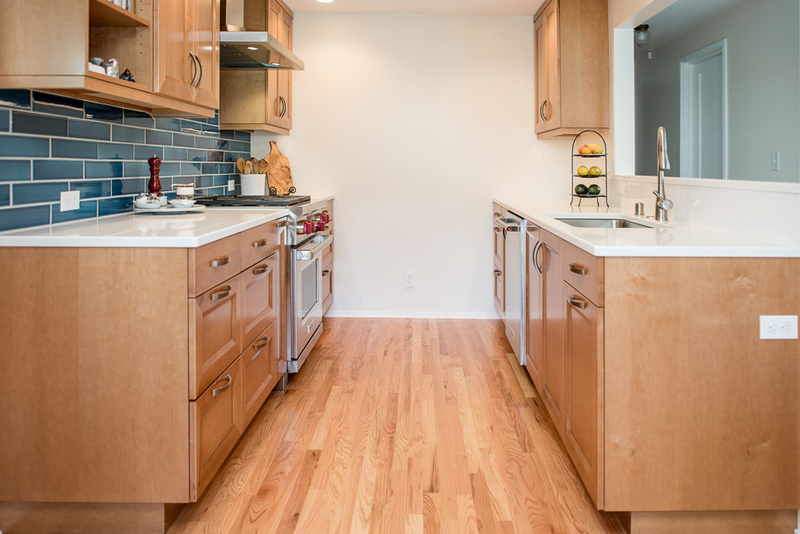 Their redesigned kitchen meets all three design criteria . 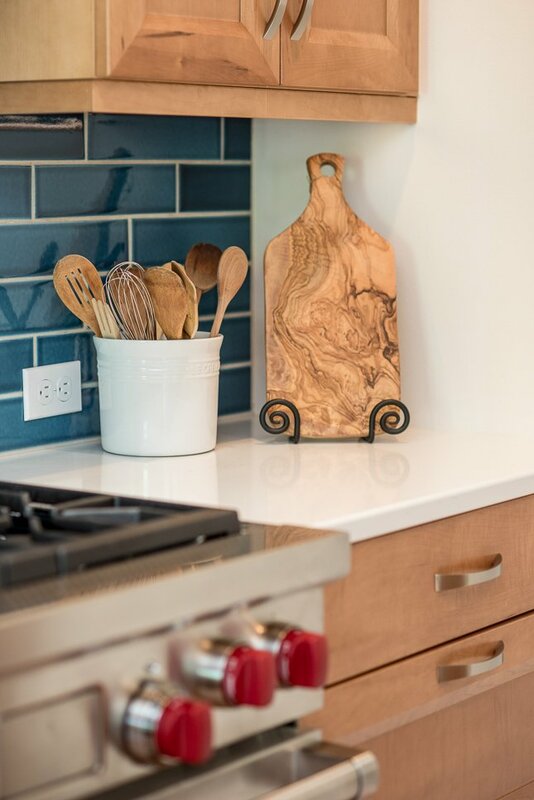 . . and looks fantastic doing it! 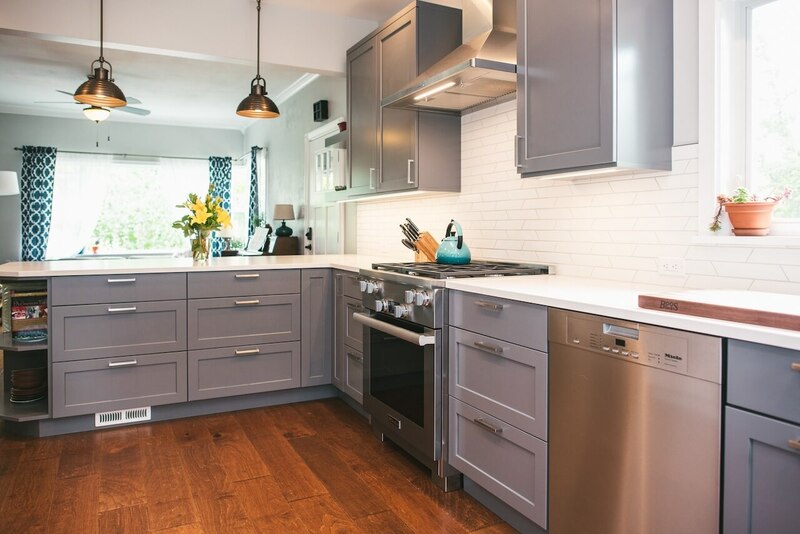 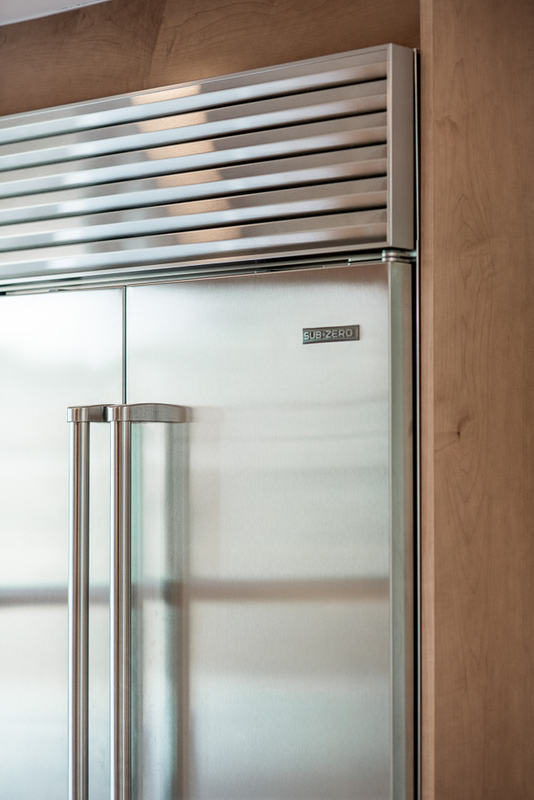 The new design reclaimed what had been a cramped seating area and turned it into a highly functional space for food prep. 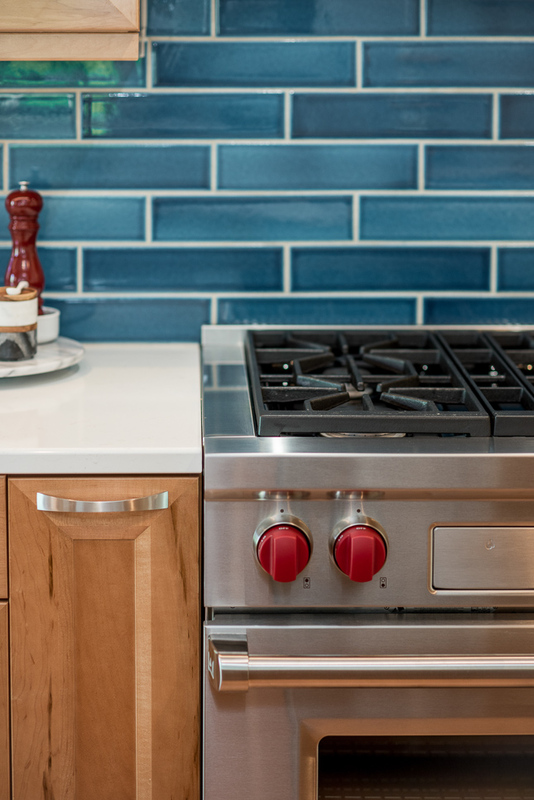 The locations of stove and sink were swapped, improving flow. 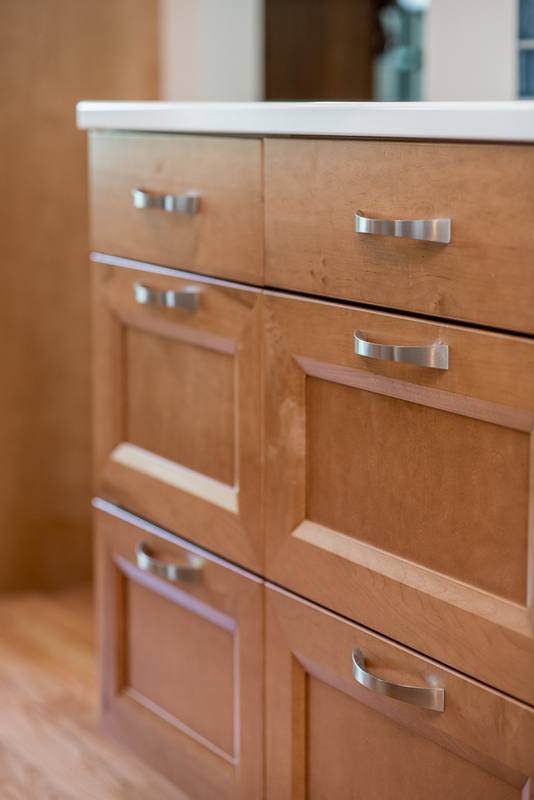 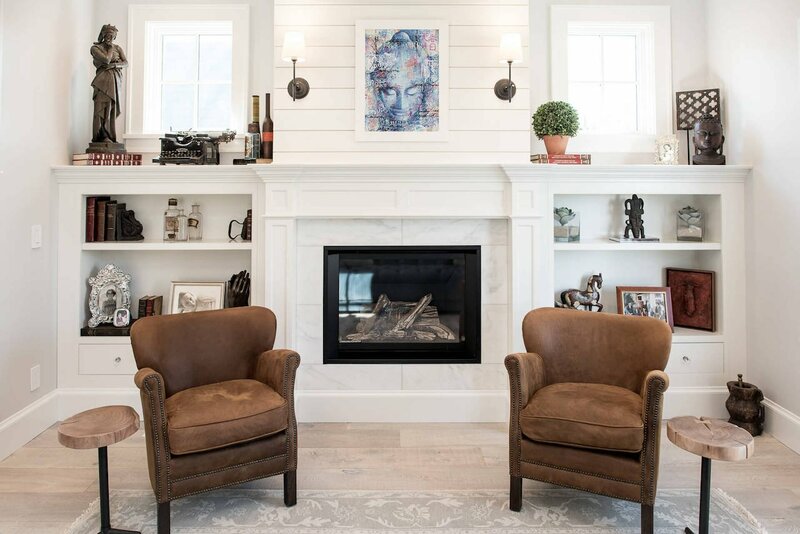 And an expanded cabinet package, in a handsome stained maple, perfectly meet the owners' storage needs. 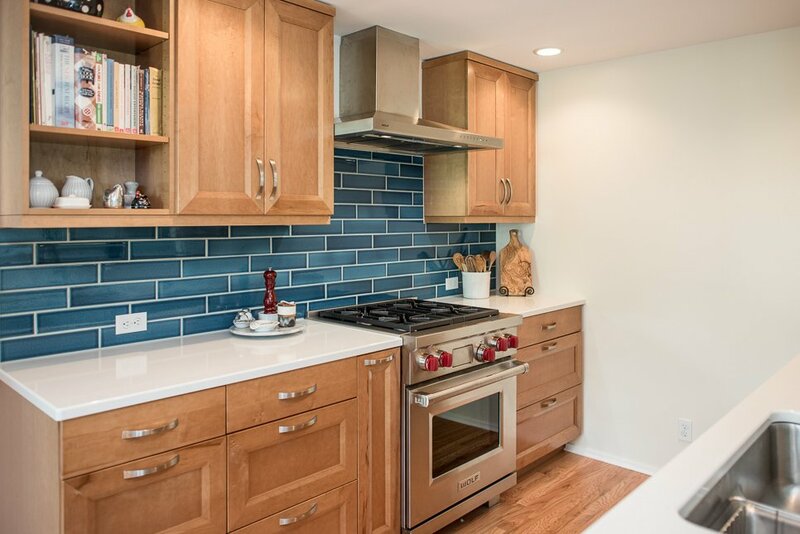 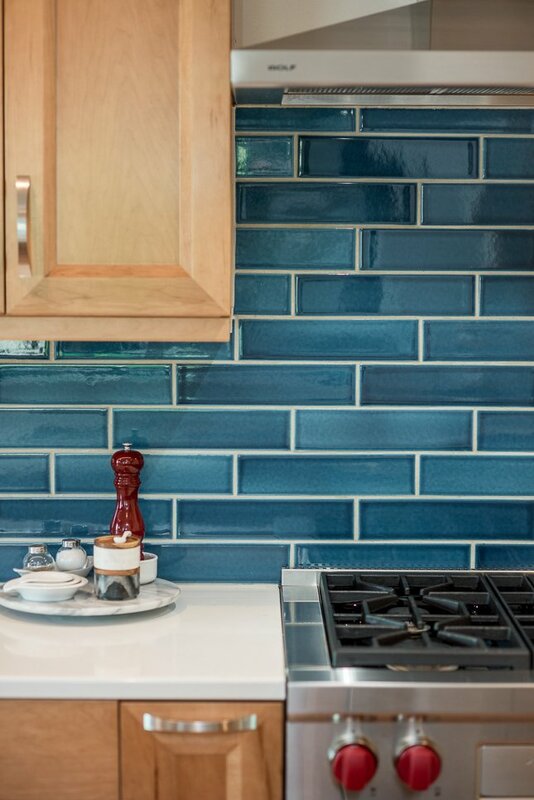 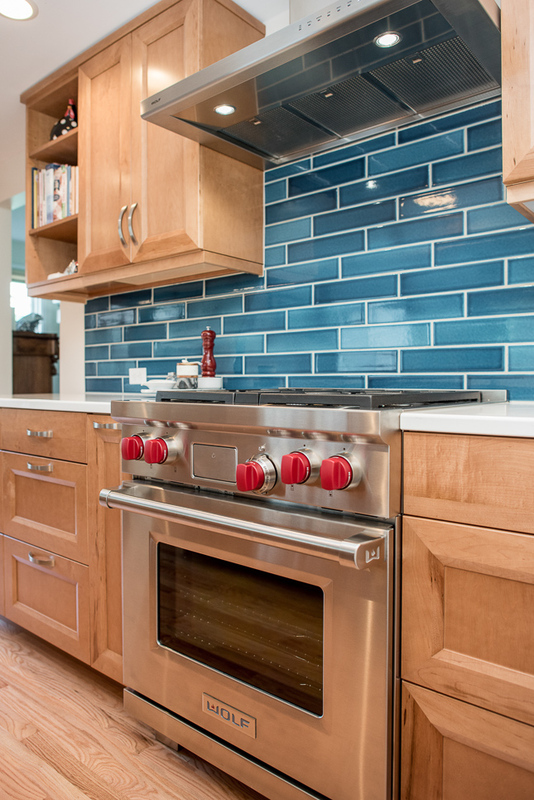 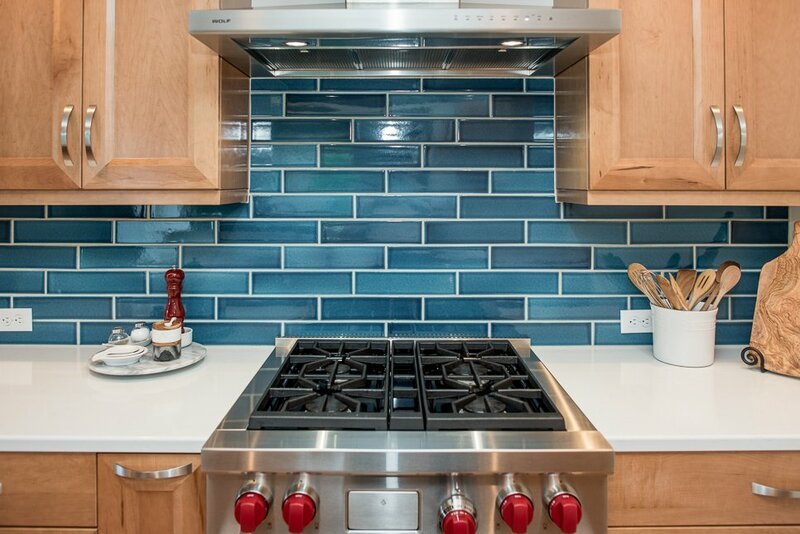 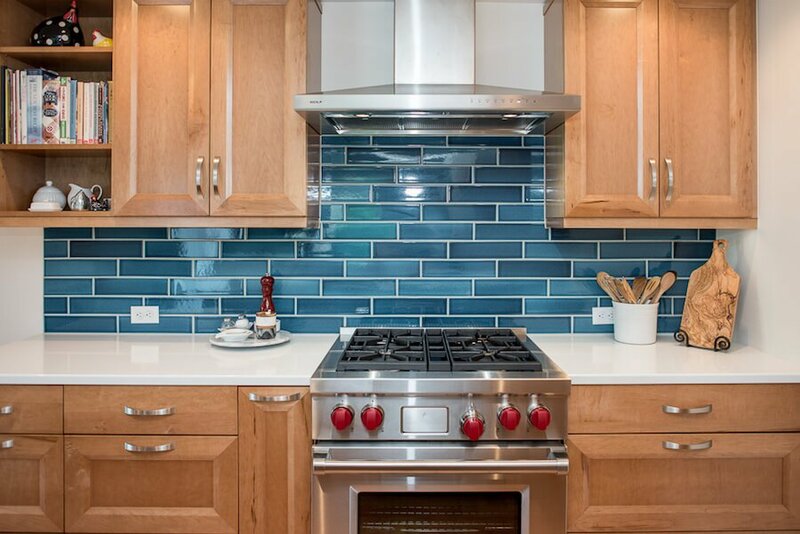 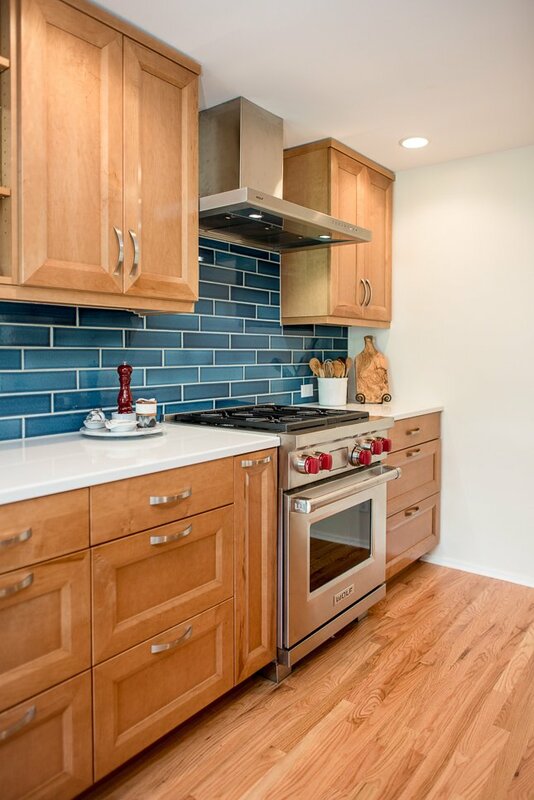 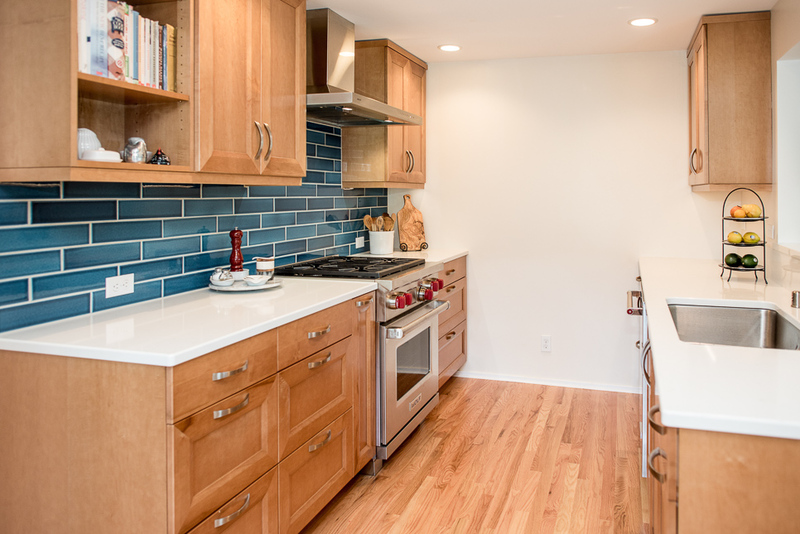 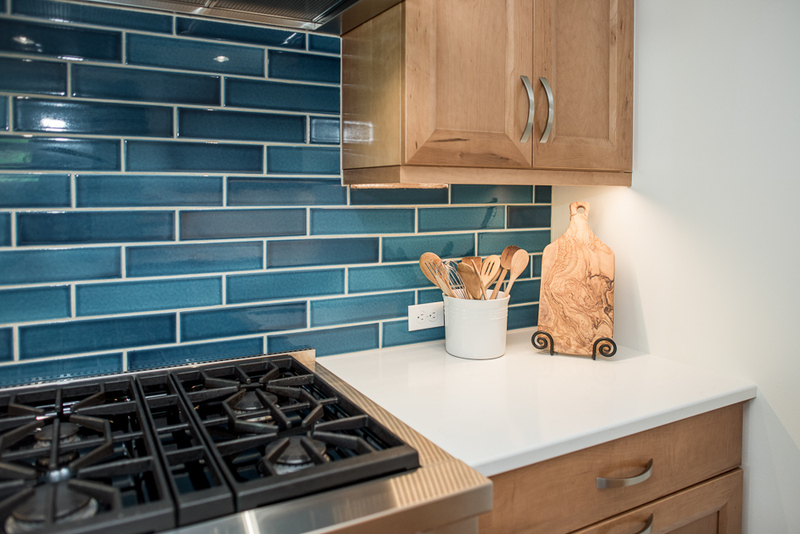 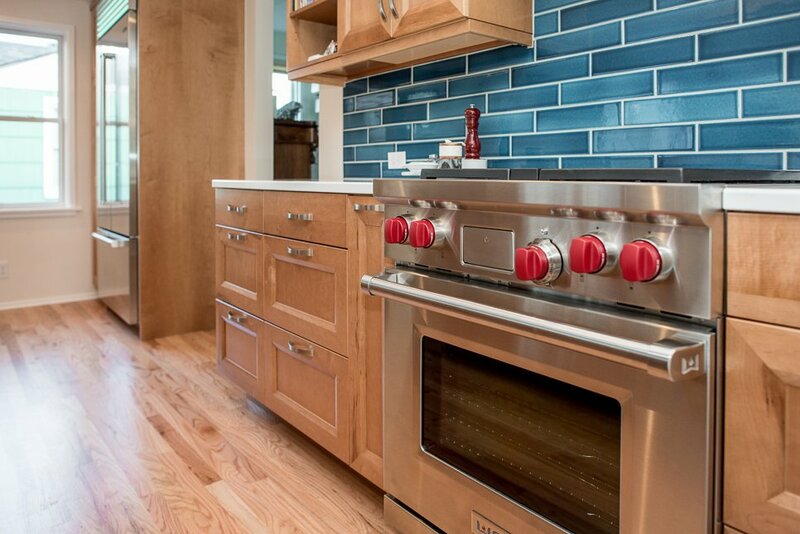 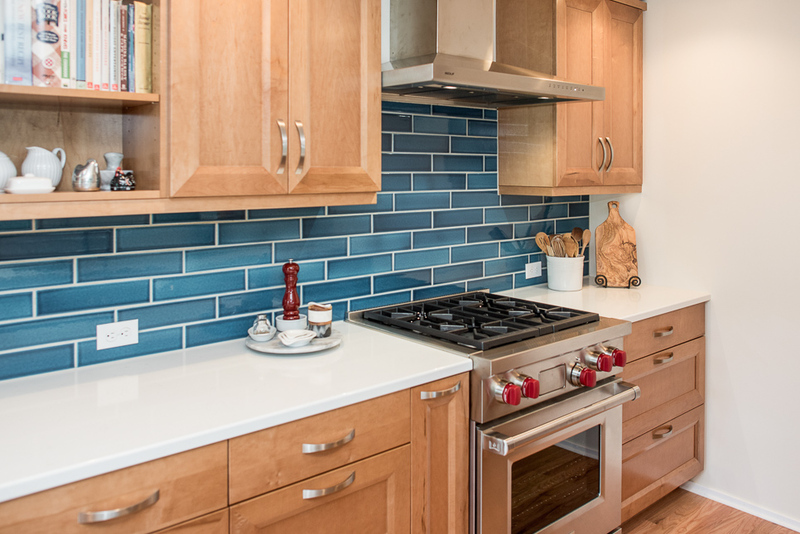 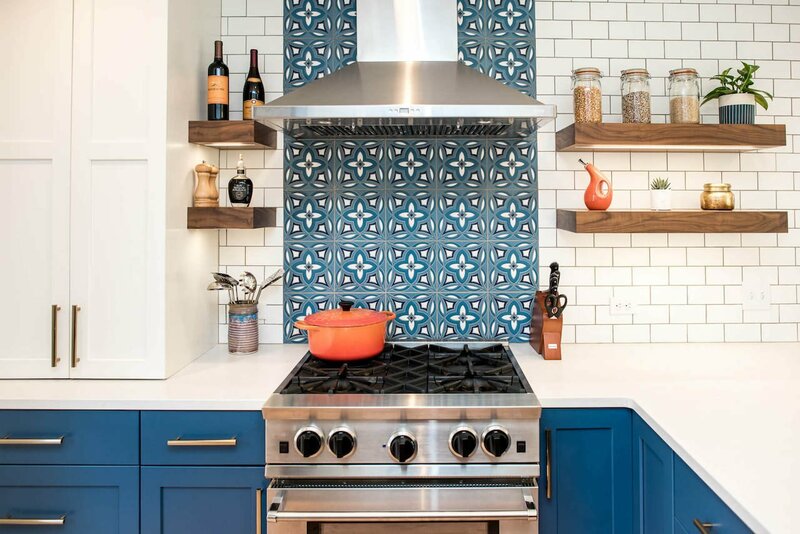 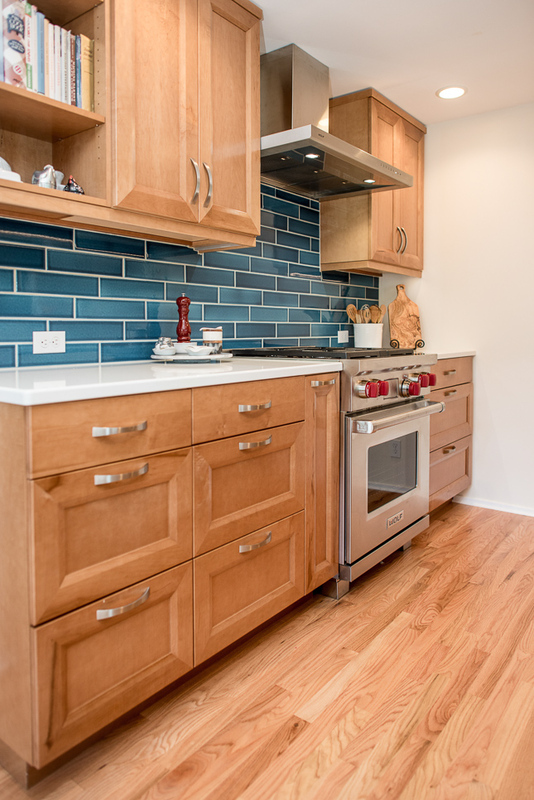 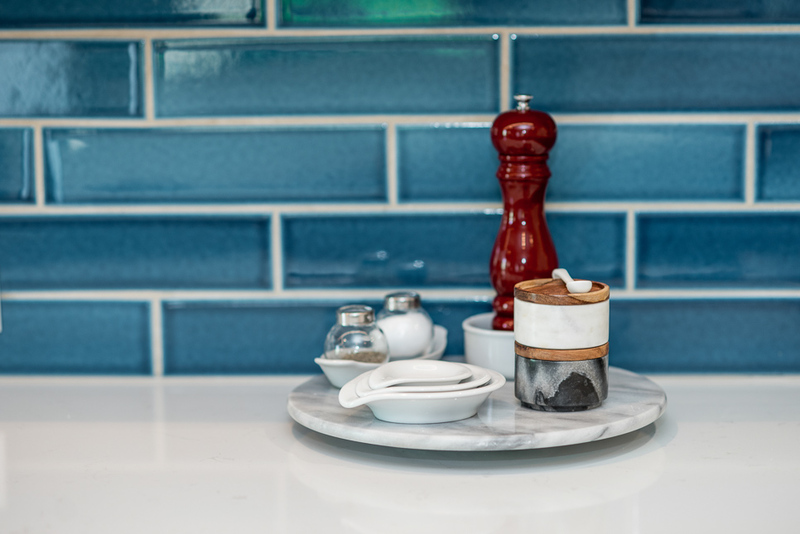 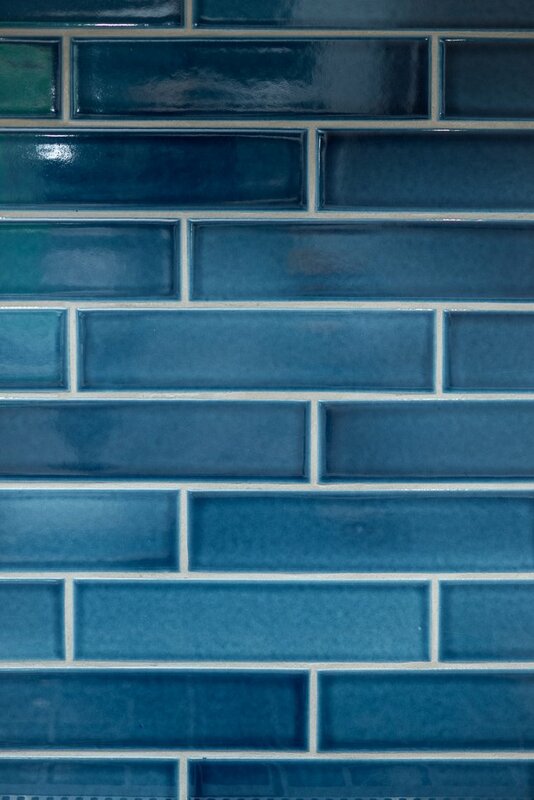 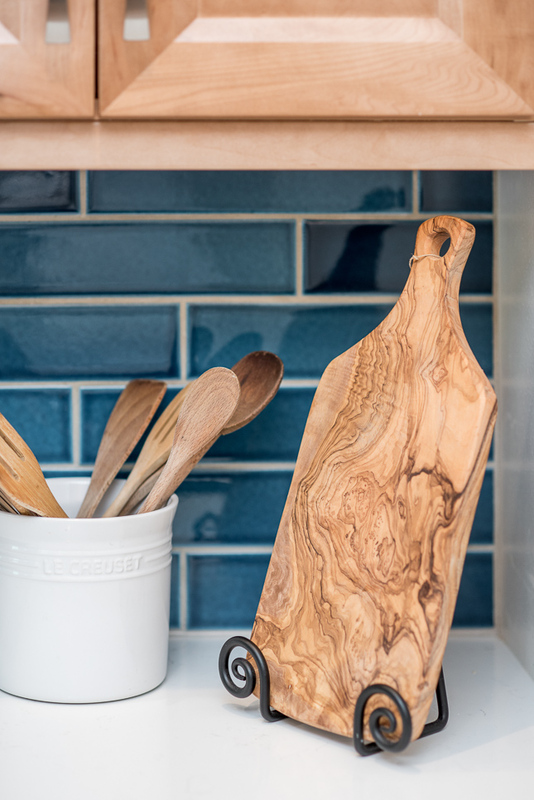 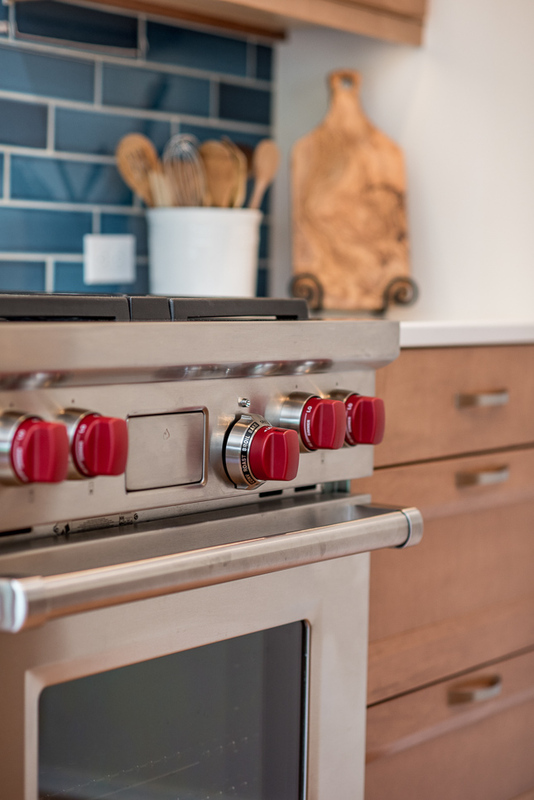 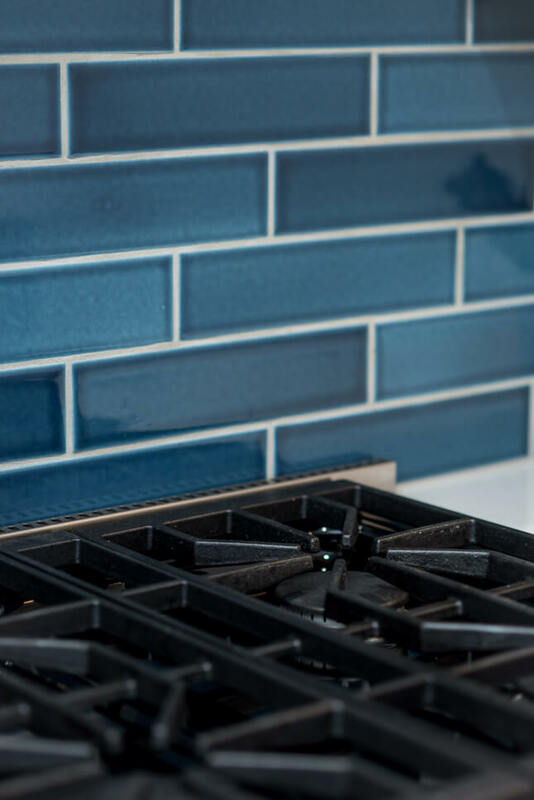 Professional-grade appliances and handmade Fireclay tiles in a deep Adriatic Blue color complete this shipshape package.